Trinity got me this framed piece for Christmas. 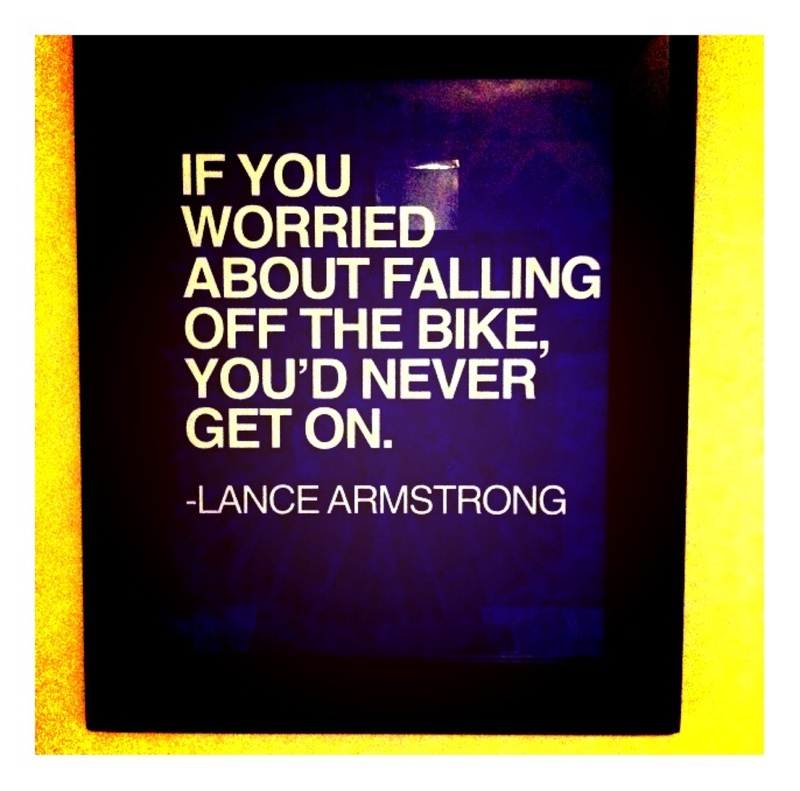 It applies to my cyclist side, obviously, but this is a great life lesson as well. Fear and worry can easily cripple us if we allow them. Get on the bike. You'll probably fall, but that just gives you the opportunity to get back up again. *This post (including taking and editing the picture) was composed entirely on my iPhone.